Drug firm Zydus Cadila today said it has received an approval from the US health regulator to market Succinylcholine Chloride injection, used as part of general anesthesia procedure, in the American market. 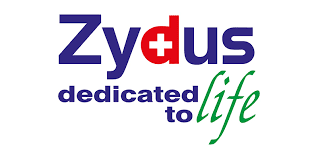 The company has received an approval from the United States Food and Drug Administration (USFDA) to market its product in the US market, Zydus Cadila said in a statement. The medication is used as an adjunct to general anesthesia, to facilitate tracheal intubation, and to provide skeletal muscle relaxation during surgery or mechanical ventilation. The product would be manufactured at the group's Moraiya, Ahmedabad-based formulations manufacturing facility. The company said it has also received tentative approval for Plerixafor injection, used in treating certain type of blood cancers. Zydus group now has more than 190 approvals from the USFDA and has so far filed over 320 abbreviated new drug applications (ANDAs) since the commencement of the filing process in financial year 2003-04.